← Remember the ‘Closet of Doom’? Hello all! 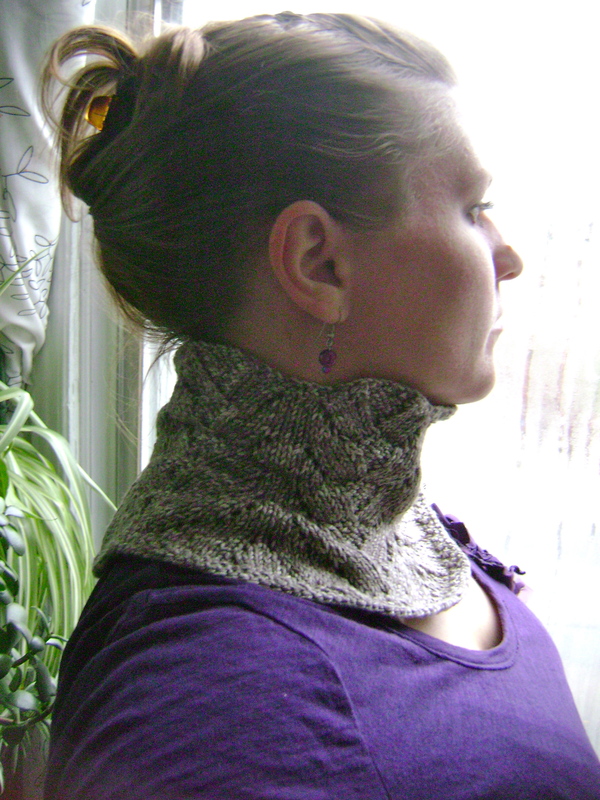 I’m excited to bring you the final Autumn Leaves Scarflette pattern. 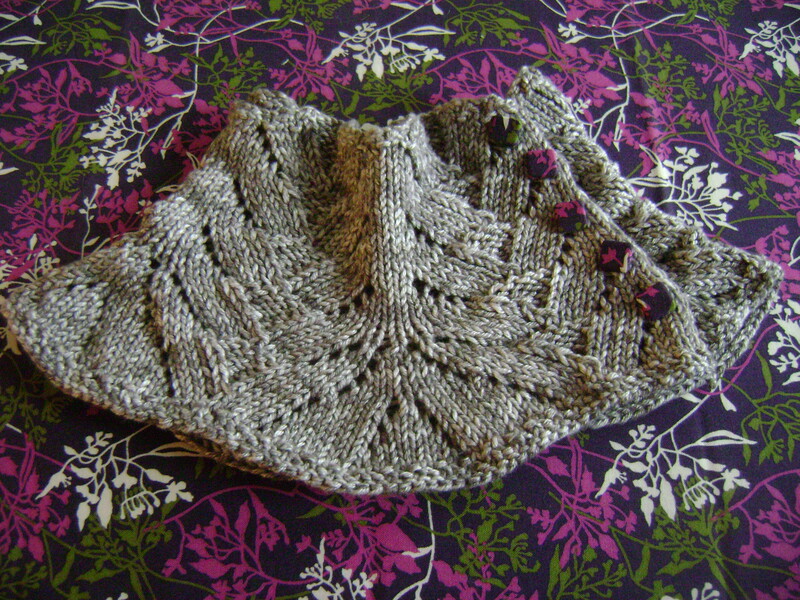 As you may remember it was my very first ever attempt at writing and publishing a knitting pattern and there were some inevitable mistakes in it. 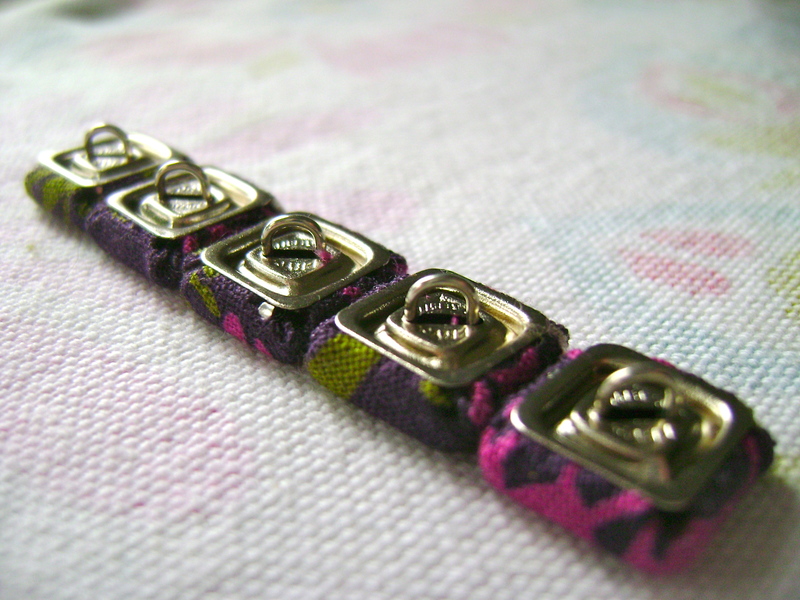 I recently got myself a brand new Macbook and I have been able to revisit it and re-knit the pattern to iron out the kinks. As much as I liked that big bone button on the initial version it was completely impractical. It was heavy and would topple over at the slightest movement. 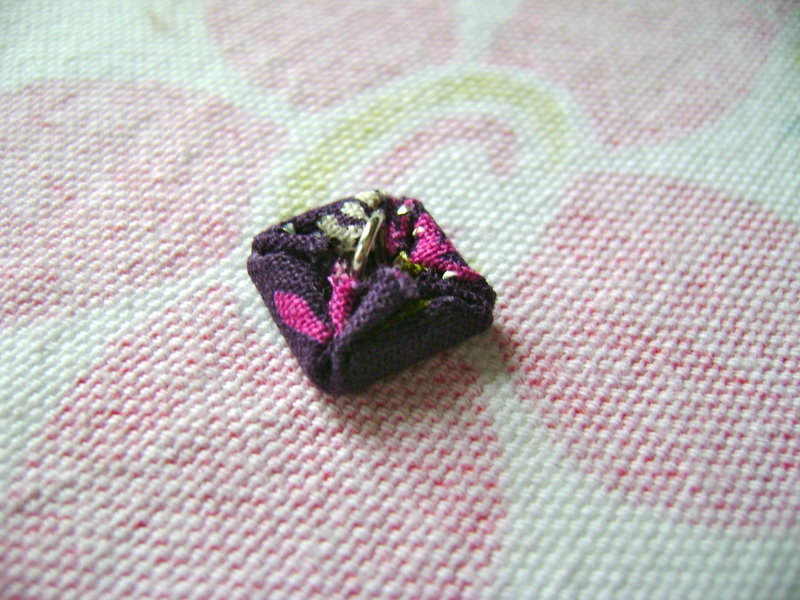 A better solution is to use the 5 yarn overs along one edge as buttonholes and then place 5 corresponding tiny buttons on the opposite side. Very pretty and useful! 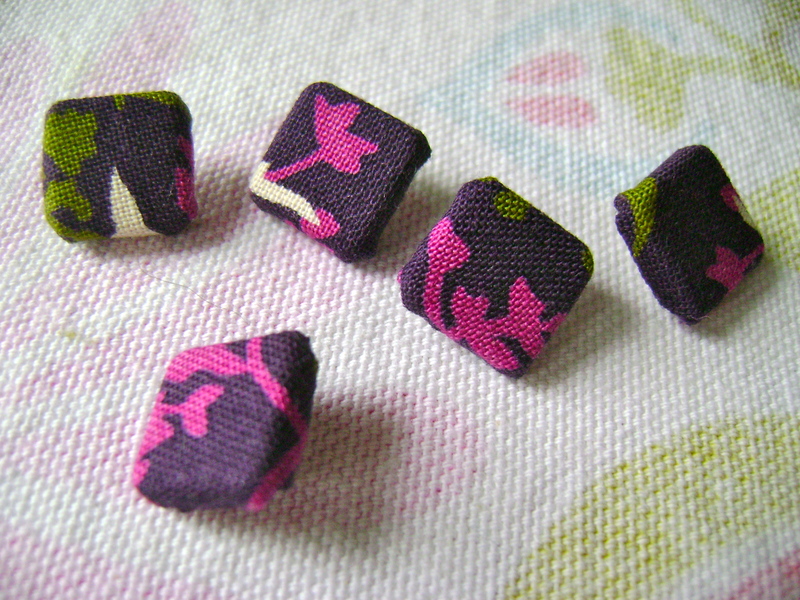 I found a stash of vintage buttons and covered them in some very pretty fabric. Here’s the link to the PDF download. Please let me know what you guys think! 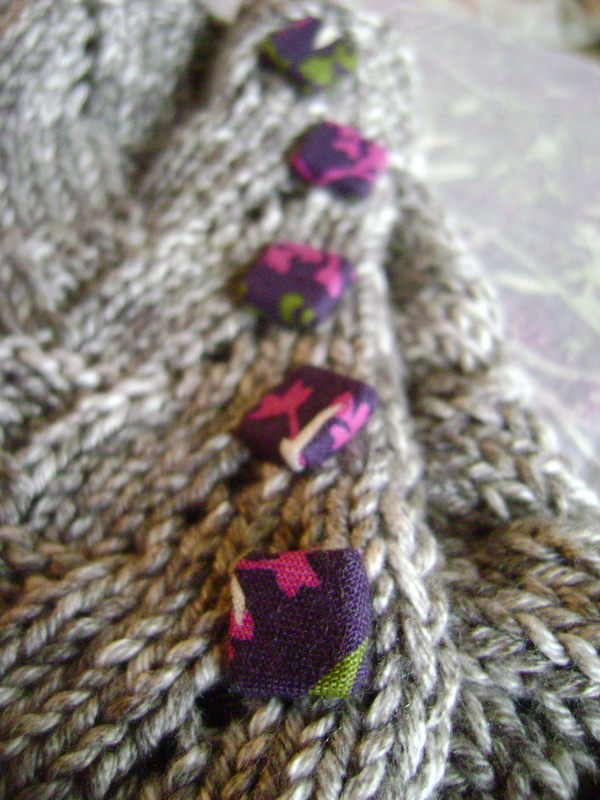 Skip ahead to see some pictures of the fabric covered buttons. I found a bag in someone’s garbage one day and it was filled with 1950’s notions. 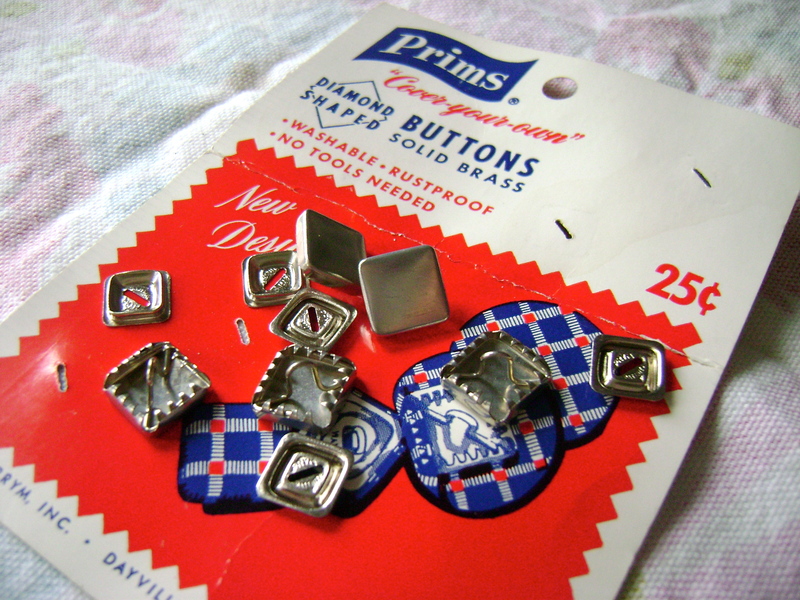 among them were these diamond shaped button forms that you cover with your own fabric. Very clever design. 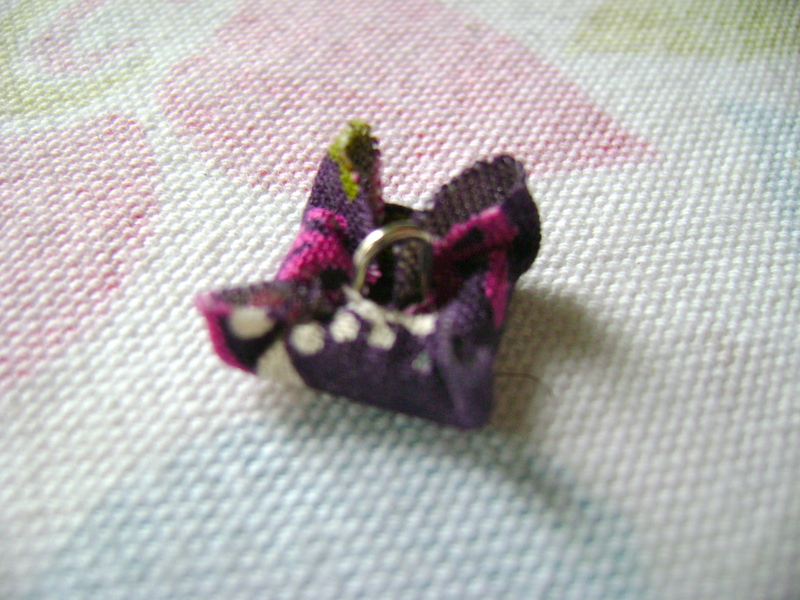 You cut out the little circle template that was on the card of buttons, and cut out 5 circles of fabric. 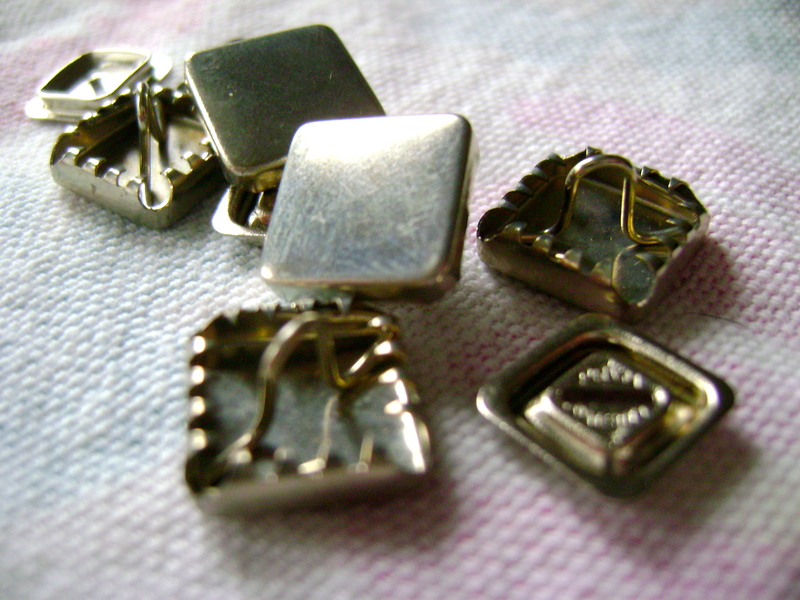 Then you place them over the button front and poke the edges behind and over the little metal teeth that catch and hold it. 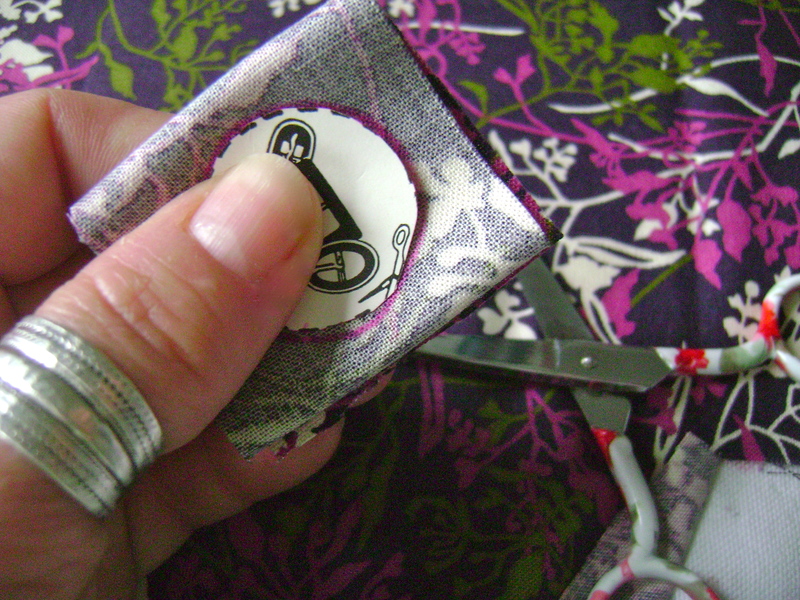 Then you use a nail file or the blade of your scissors to poke the edges into the groove along the corners to make it neat. 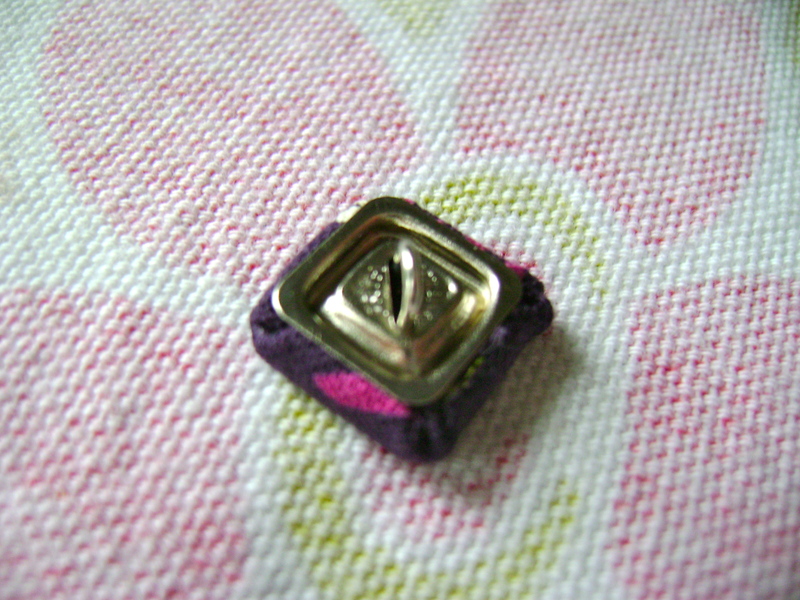 Then you just pop on the little metal back plate that clips onto place. SOOOO easy! And so fast.